No higher form of knowledge can be available to the general public and at the same time remain entirely free from distortion. Especially in materialistic societies, it will often be presented in precarious ways. On the other hand, it must suffer misinterpretation as it reaches the public. Therefore blind belief in scriptures is of no use. The verbatim and authentic teachings of Helena Blavatsky, for instance, will be misrepresented if taught as a dead-letter philosophy having no relation to the present-day challenges faced by mankind. Even if presented in a correct and living way as an open-process of active search and research, the authentic teachings will, up to a certain degree, be misinterpreted by experienced students and neophyte alike. It is from this point of view, which stimulates an open yet humble search and research in authentic teachings, that the Independent Lodge of Theosophists and its associated websites recommend books on Raja Yoga written by various authors and with different perspectives. Some of them are M. N. Dvivedi, Rohit Mehta, Selvarajan Yesudian & Elizabeth Haich, I. K. Taimni, W. Q. Judge, Swami Vivekananda and Yogi Ramacharaka. All of these authors deserve our respect and gratitude for having written serious books on Raja Yoga and the Aphorisms of Patanjali, which give us a variety of valuable teachings. No one of them is perfect. It is up to each student to find the wisdom in good books of Raja Yoga and test their teachings in life. However, a few indications should be given. Raja Yoga is not the false science of manipulating “subtle energies” for personal advantage. It is the science of self-knowledge. It is the union between the lower self and the spiritual soul. It is the building of a practical harmony between one’s life and that eternity in time which is inseparable from boundlessness in space. Raja Yoga is the conscious unity between a human individual and the one universal Law. The good book by Ramacharaka points in such a noble direction. M.N. Dvivedi deserves special attention since his works were personally recommended by Helena Blavatsky. The book by W.Q. Judge – a contemporary disciple and direct co-worker of Blavatsky -, is quite small, yet useful. Click to read the books “The Yoga-Sutra of Patanjali”, by M.N. Dvivedi, and “The Yoga Aphorisms of Patanjali”, by W.Q. Judge. See the articles “How to Develop Occult Powers”, and “From Ritualism to Raja Yoga”. 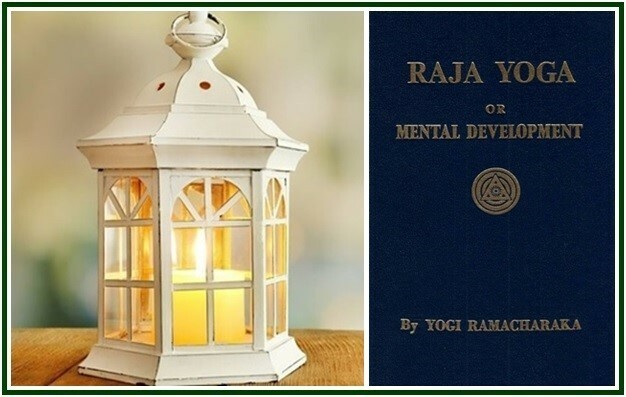 The book “Raja Yoga or Mental Development” was published in our associated websites on the 27th of December, 2018. See also the articles and “Good Sense in Approaching Raja Yoga” and “Experiencing the Yoga Aphorisms”.